Apple House, wonderful sea view. Apple House is a cozy house, with modern furnishings, understated lighting gives you intense romantic moments. From the house dominates the whole Ionian coast, a lovely view. 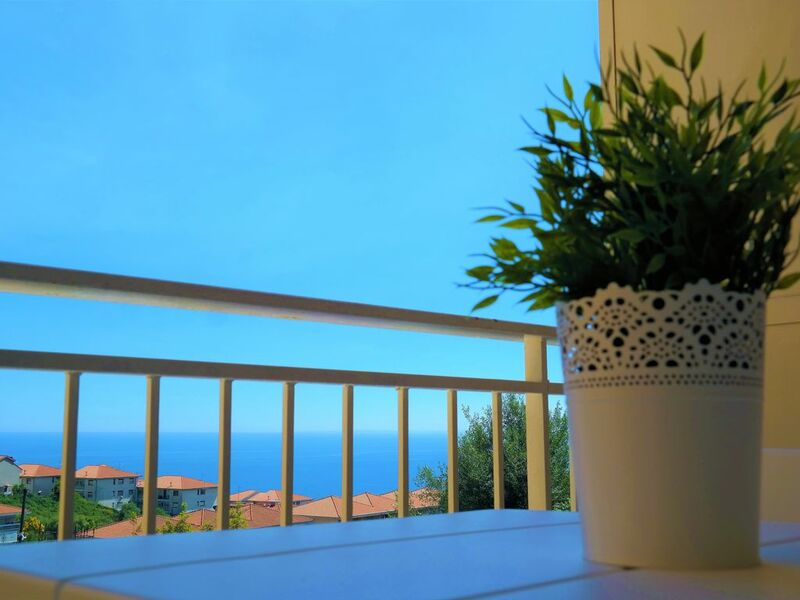 The accommodation is close to Aci Trezza, land of Malavoglia, and Aci Castello, a fishing village which takes its name from the Norman castle, which you can aim from the house. The house has a bedroom with double bed and single bed, a kitchen / living room equipped with sofa, TV, dining table, kitchen with oven hob fridge and useful tools, a bathroom with shower for your relaxation and bidet. It features a terrace equipped with armchairs and a table with chairs and a balcony with breathtaking sea views, which overlooks the Ionian coast, equipped with table and chairs to enjoy relaxing views of the sea and the castle of Aci Castello. It 'located just a step away from Aci Castello, a fishing village which takes its name from the Norman castle of Aci Trezza, land of reluctantly, Acireale, Catania, Tarmina, Ortigia Syracuse. I look forward to welcoming you. I love my work and I love to welcome guests from all parts of the world. Die Gastgeberin war freundlich und hilfsbereit, die Wohnung hatte alles was man benötigt und einen schönen Blick auf das Meer. Alles in Allem ein gelungener Urlaub. Abbiamo soggiornato nella seconda settimana di giugno. Purtroppo abbiamo riscontrato alcune mancanze che hanno reso poco piacevole il soggiorno come la scarsa dotazione nell'appartamento (oltre al tavolo nessun mobile dove poter appoggiare gli oggetti, stendibiancheria di dimensioni microscopiche inadeguato per un soggiorno al mare e per poter lavare indumenti) e il bagno che necessita di una ristrutturazione. Credo che la cosa che ha influenzato maggiormente il giudizio negativo sia stato il degrado degli spazi comuni. L'appartamento confina con uno stabile abbandonato e il cortile interno, in alcuni punti, è pieno di rifiuti, residui di potature, volantini di carta gettati a terra.